Skin testing is the most reliable form of allergy testing, as mast cells which produce histamine are located in high numbers just under the skin. The results of skin testing are available within fifteen minutes and have been proven to be more accurate than blood testing in diagnosing allergies. What Age is Appropriate for Skin Testing? Per the American Academy of Pediatrics, age is not a barrier to skin testing. Even infants can benefit. As the child's immune system develops, the child should be retested to identify changes in his/her immune response; many times foods can be reintroduced into the diet that once caused an allergic reaction. Skin testing is a simple series of tiny pricks made on your back. The pricks are conducted with a small instrument similar to a plastic toothpick, which contains trace amounts of single allergen like mold spores, pollen, dust mites, and/or animal dander. When the results are positive, a small reaction on the skin occurs, usually within 20 minutes. A small bump, similar to a mosquito bite, may appear and there may be some itchiness. This indicates that you are allergic to that specific trigger. If your prick skin tests are negative but your physician still suspects you might have allergies, more sensitive intradermal tests will be used in which a small amount of allergen is injected within the skin. Depending on the results of your skin test, our allergist will determine the best way to treat your allergy symptoms. A skin test should be done in an allergist's office to minimize the risk of rare side effects. This test is similar to the prick skin test; however many allergen solutions are placed on the individual prongs of a multi-prong plastic device, this way many skin tests can be performed at once. This test is also similar to above prick skin test. A drop of a suspected food is pricked individually on the skin surface of your back or arm. The test takes three minutes to be performed and results are available within fifteen minutes. 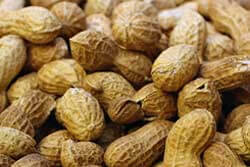 The foods which cause most of the allergic reactions are Milk, Egg, Peanut, Tree nuts, Wheat, Soy, Fish and Shell fish. 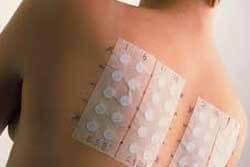 Patch testing is a method to diagnose allergic reactions on the skin. Possible allergens are taped to the skin for 48 hours. Your doctor will look at the area in 48 hours, and then again 72 hours later. The allergens which cause most of the contact allergic reaction are Nickel, Fragrances, Neosporin, Rubber products, Hair color dyes, Sun tan lotions and some others. In the lung function test, you breathe into a mouthpiece that is connected to an instrument called a spirometer. The spirometer records the amount and the rate of air that you breathe in and out over a period of time. We have in-house facility to do Sinus X-Ray if sinus infection is suspected or to confirm if it is totally resolved. Partially treated sinus infection can reoccur again and again. 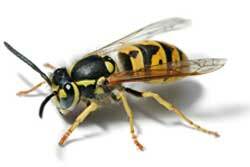 Venom from the stings of bees, wasps, yellow jackets, hornets, fire ants and other stinging insects can cause very serious life threatening reaction. Venom testing is a combination of allergy prick and intra-dermal skin testing. Venom vaccine is well standardized by FDA and is highly effective. An oral challenge is a procedure performed under medical supervision where a person takes a very small amount of a suspected food or medication by mouth to watch for any allergic reaction. This is very individualized test. Patient desiring a drug test should make an appointment to have a consultation with our provider to decide the best course of treatment.